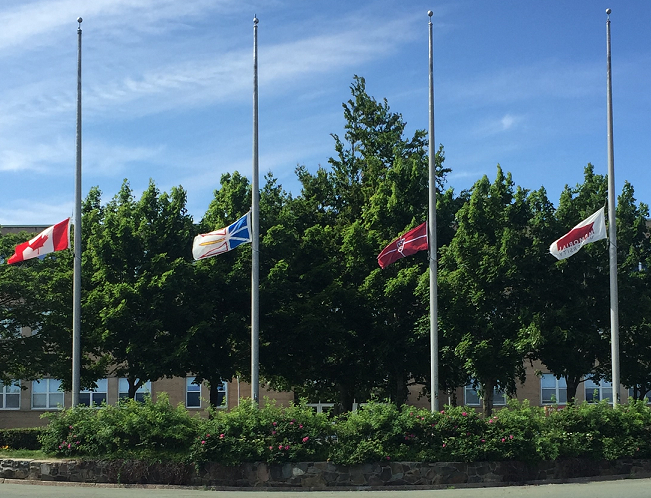 Memorial University of Newfoundland (MUN) flags were lowered today, Saturday, August 4, to mark the passing of Callum Mireault. Callum was a MUN Geography grad student, co-supervised by Rodolphe Devillers and Peter Lawton, working on CHONe Project 1.2.6: Monitoring EBSAs. In addition to Callum’s research on sea potatoes, horse mussels, and shallow-water seabed surveillance systems, CHONe remembers his technical savvy, humor, enthusiasm, thoughtfulness, and excellent communication skills. Our heartfelt condolences to his family, friends, and colleagues.